Detroit's hard-throwing young pitcher Joel Zumaya has signed this Major League baseball. 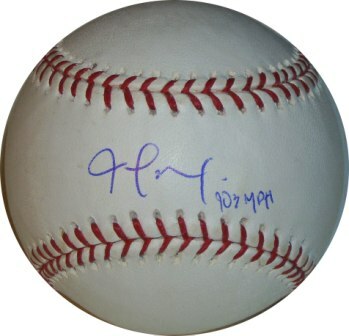 Zumaya has included the inscription "103 MPH". It was signed during a private signing with Steiner Sports, and includes a Steiner Certificate of Authenticity and hologram.